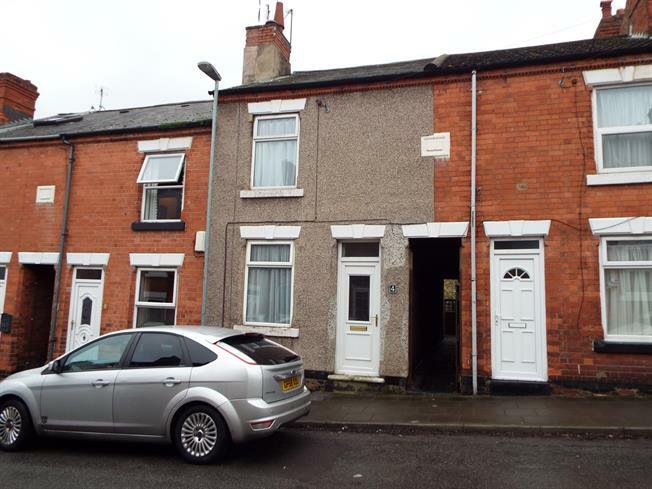 2 Bedroom Terraced House For Sale in Nottingham for Offers in the region of £90,000. SOLD WITH NO UPWARD CHAIN Two bedroom terraced house which is situated in a popular location and also benefits from being sold with no upward chain. The property would be perfect for any first time buyer looking to get there foot on the market or buy to let investor looking for a good rental return. The accommodation briefly comprises of a lounge, dining room and kitchen. To the first floor are two double bedrooms and bathroom. Outside the property to the rear property is private garden which is mainly lawned and benefits from having a block paved section and outbuilding with electrics. To the front is on street parking. A viewing is highly recommended so please call today. UPVC double glazed door. Double glazed uPVC window. Radiator. UPVC double glazed door. Double glazed uPVC window. Radiator. Roll edge work surface, wall and base units, stainless steel sink. Double glazed uPVC window. Radiator, built-in storage cupboard. Double glazed uPVC window. Radiator. Standard WC, panelled bath, shower over bath, porcelain sink.